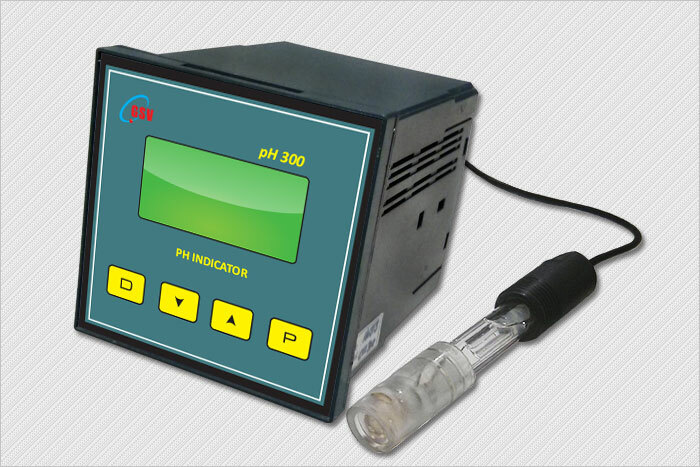 pH is measured in a wide variety of process applications to ensure product quality, monitor effluent discharge and to control addition of chemicals for optimum chemical reaction. 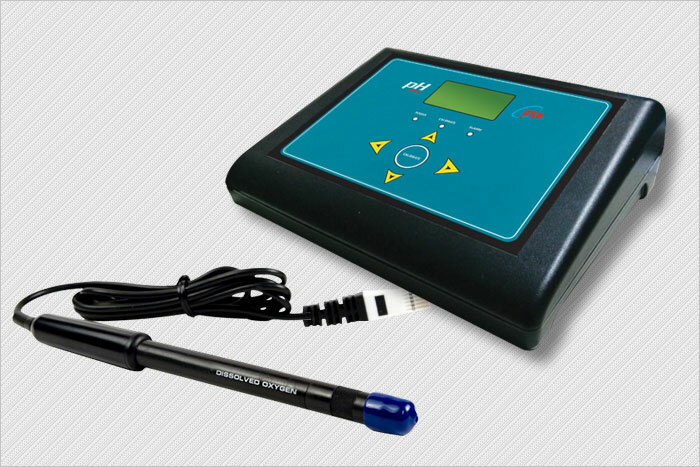 GSV offers a range of analyzers and transmitters for use with its sensors and mountings to measure pH and ORP. 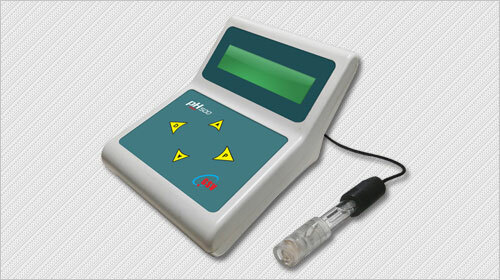 pH100 indicators feature a 4½ digit LED display and displays pH, temperature and mV with 4-20mA/RS485 output. 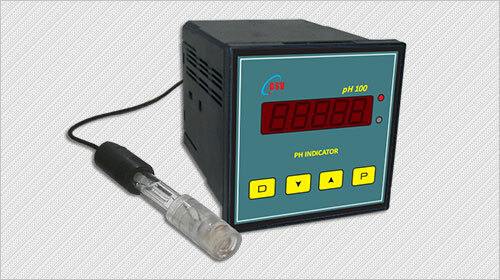 These pH indicators feature a Graphical LCD display and displays pH, temperature and mV with 4-20mA/RS485 output. 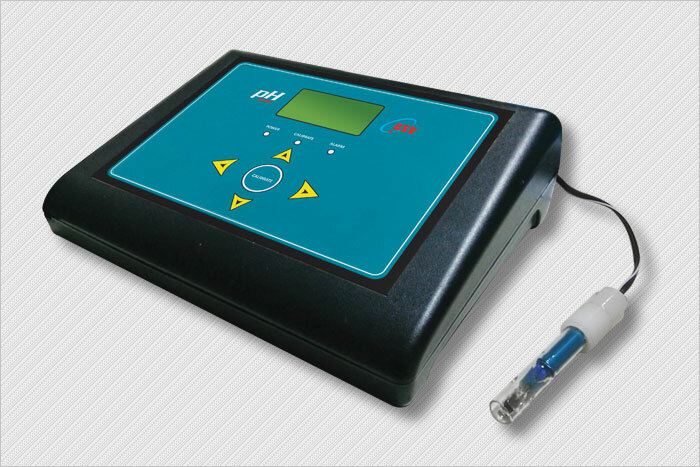 These models also have inbuilt RTC, datalogging, sensor calibration history and sensor change history. 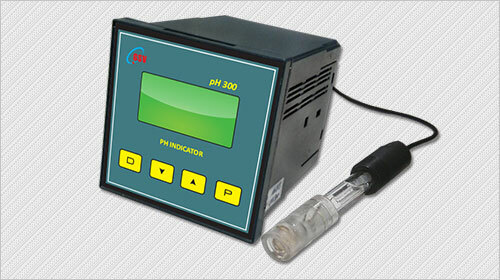 Desktop pH indicators feature a Graphical display and displays pH, temperature and mV with 4-20mA/RS485 output. 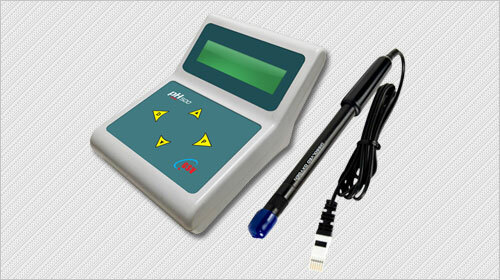 These models also have inbuilt RTC, datalogging, sensor calibration history and sensor change history. 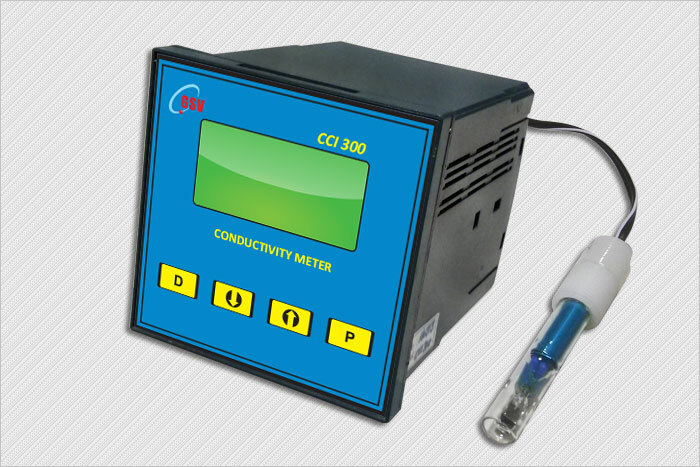 Conductivity measurement is vital for a wide range of processes from sensitive ultra-pure water applications to highly conductive industrial processes. GSV's series of conductivity indicators ensures accurate conductivity measurement, and is suitable for all-purpose applications. 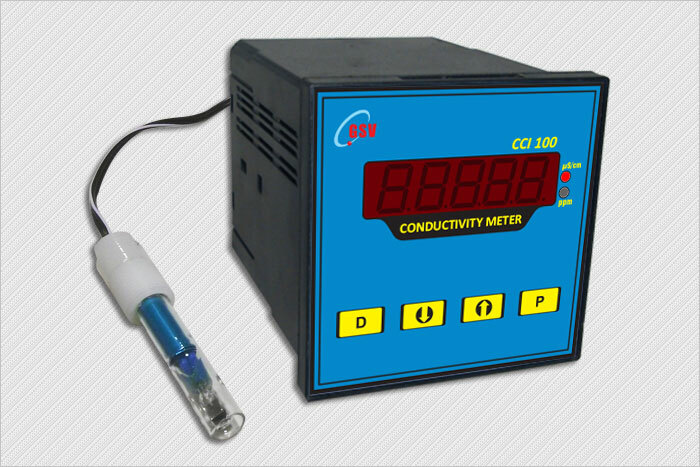 CCI100 series of conductivity indicators feature a 4½ digit LED display and displays Conductivity, TDS, Temperature with 4-20mA/RS485 output. 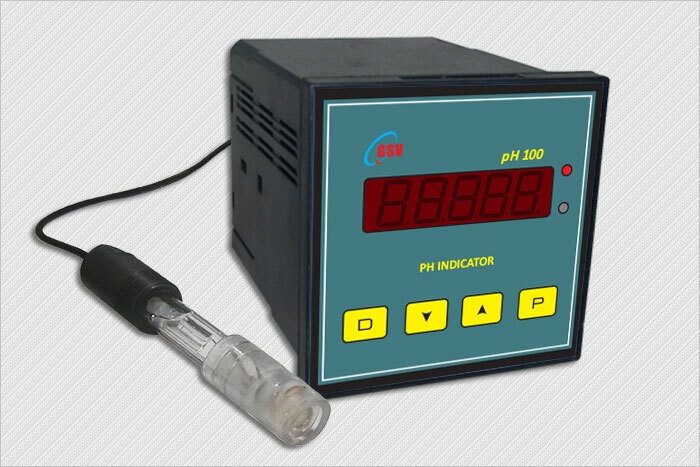 Conductivity indicators feature a Graphical LCD display and displays Conductivity, TDS, Temperature with 4-20mA/RS485 output. These models also have inbuilt RTC, datalogging, sensor calibration history and sensor change history. 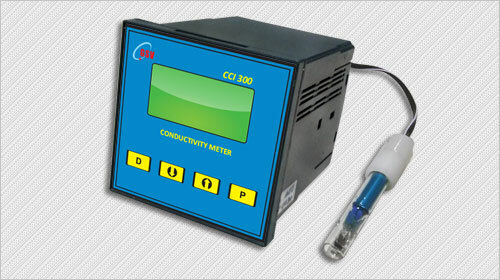 Desktop CCI indicators feature a 16 Char LCD display and displays Conductivity, TDS, Temperature with 4-20mA/RS485 output. 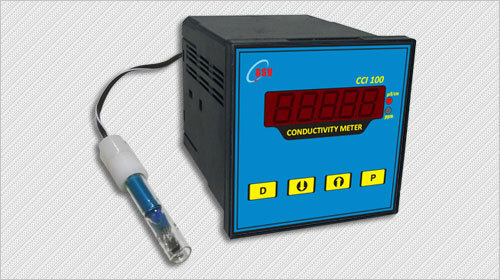 Desktop CCI indicators feature a Graphical display and displays Conductivity, TDS, Temperature with 4-20mA/RS485 output. 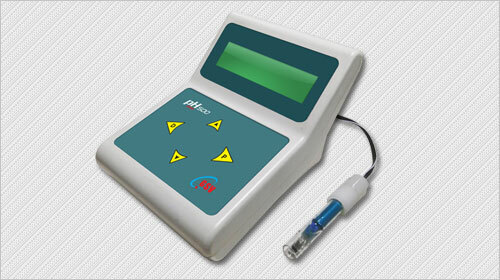 These models also have inbuilt RTC, datalogging, sensor calibration history and sensor change history. GSV Oxidation Reduction Potential (ORP) Transmitter modules are next-generation analytical transmitters that combine the latest in microelectronics technology with the proven performance of GSV’s unique sensing technologies in a unique modular design. The ORP transmitter provides unequaled savings during installation, startup, operation, and maintenance. ORP100 indicators feature a 4½ digit LED display and displays Milli Volts, User Programmable Variable, Temperature with 4-20mA/RS485 output. 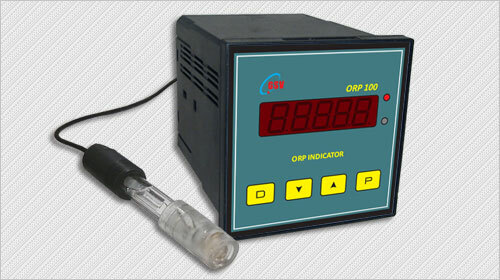 ORP indicators feature a Graphical LCD display and displays Milli Volts, User Programmable Variable, Temperature with 4-20mA/RS485 output. 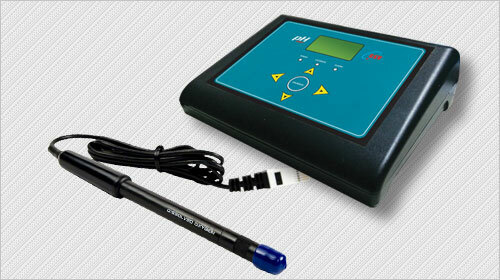 These models also have inbuilt RTC, datalogging, sensor calibration history and sensor change history. 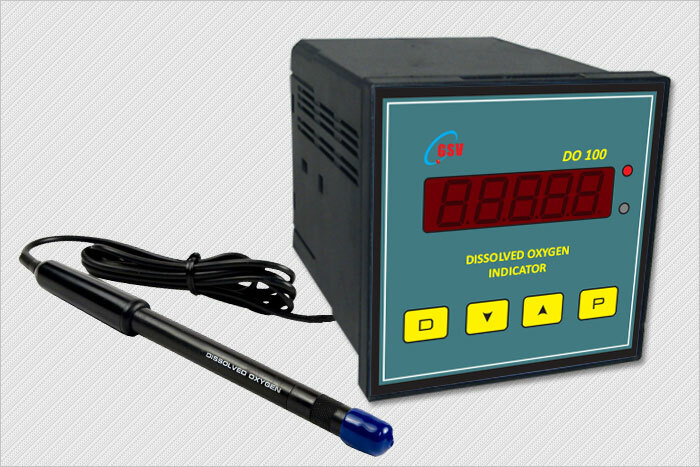 Desktop ORP indicators feature a 16 Char LCD display and displays Milli Volts, User Programmable Variable, Temperature with 4-20mA/RS485 output. 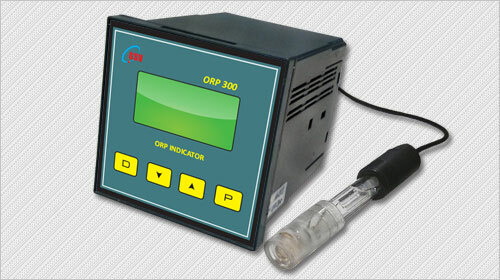 Desktop ORP indicators feature a Graphical display and displays Milli Volts, User Programmable Variable, Temperature with 4-20mA/RS485 output. 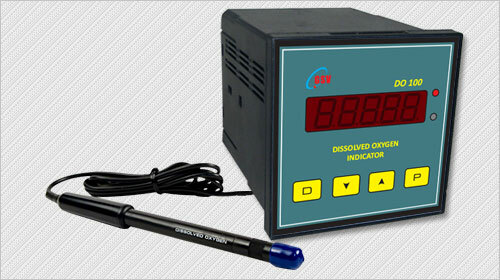 These models also have inbuilt RTC, datalogging, sensor calibration history and sensor change history. 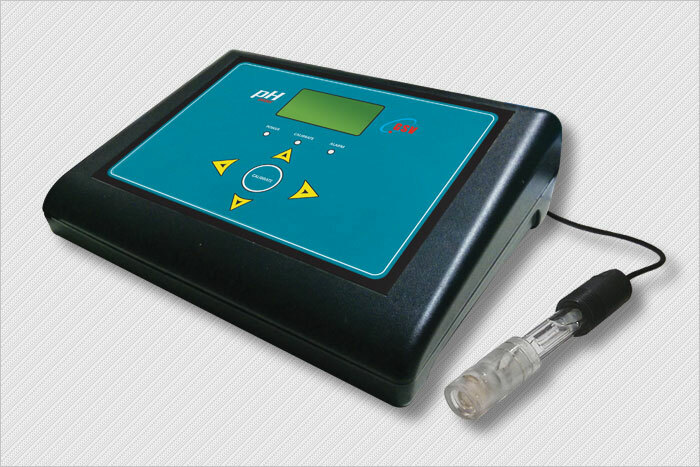 GSV combines the latest in microelectronics and unique compact design with a differentiated sensing technology in its Dissolved Oxygen Transmitter system to measure dissolved oxygen in a wide range of applications including wastewater treatment and fish farming. 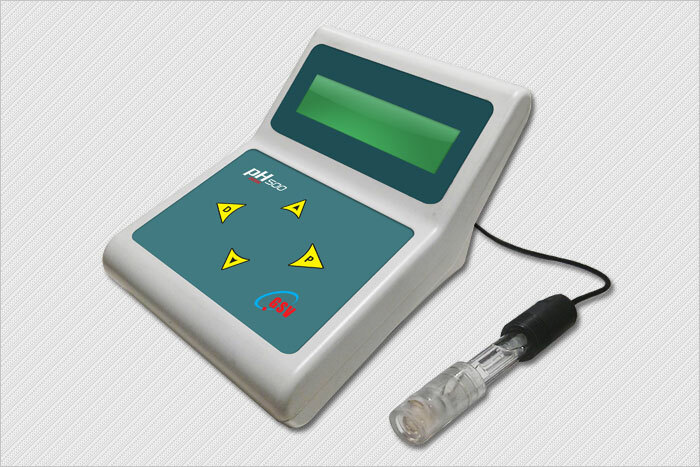 DO100 indicators feature a 4½ digit LED display and displays DO %, User Programmable Variable, Temperature with 4-20mA/RS485 output. 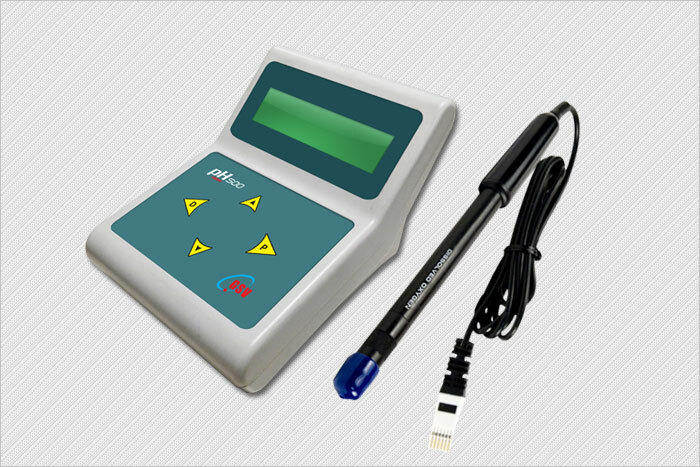 DO indicators feature a Graphical LCD display and displays DO %, User Programmable Variable, Temperature with 4-20mA/RS485 output. 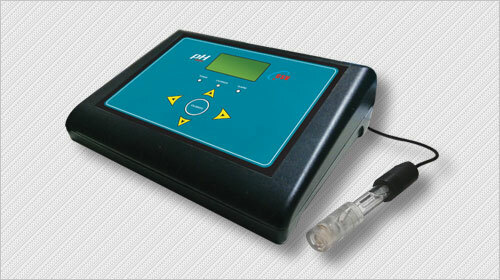 These models also have inbuilt RTC, datalogging, sensor calibration history and sensor change history. 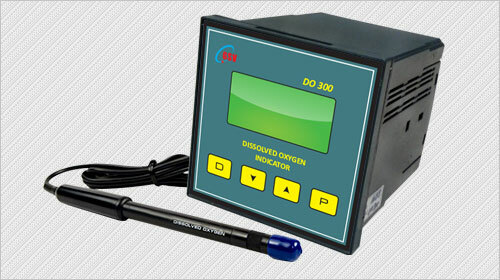 Desktop DO indicators feature a 16 Char LCD display and displays DO %, User Programmable Variable, Temperature with 4-20mA/RS485 output. 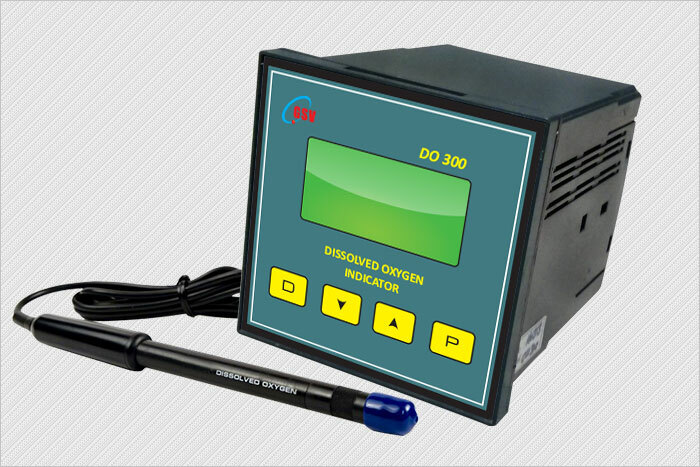 Desktop DO indicators feature a Graphical display and displays DO %, User Programmable Variable, Temperature with 4-20mA/RS485 output. 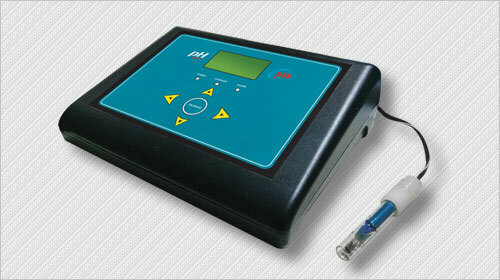 These models also have inbuilt RTC, datalogging, sensor calibration history and sensor change history.